Sydney Olympic’s has notched their fourth straight win after defeating Marconi Stallions 2-0 at Marconi Stadium on Saturday. It wasn’t Marconi’s night with injuries and missed chances costing the Stallions the game in what ended with the exact same scoreline as the famous 1990 NSL Grand Final between these two great clubs. Goals to Spanish sensation Alejandro Sanchez-Lopez and Jason Madonis were the difference as Olympic’s impressive run of form continued. The defeat was Marconi’s second of the week with the newly promoted side desperate to break free of their early season struggles. The game was hardly a minute old when a cross from the right completely bamboozled the Marconi defence and Sanchez-Lopez put the ball into the back of the net. It was a gift from the Stallions to the former La Liga player and one that would have had Marconi coach Peter Tsekenis, himself a former legend at Sydney Olympic, very disappointed indeed. In the 10th minute though Marconi came very close to equalising. A long ball forward was perfect for Judah Cleur who hit a beautiful volley that sailed just over the crossbar. Two minutes later Marconi went very close again. Marko Jesic galloped through the middle and delightfully beat his opponents until reaching a point where he fired in a low shot that was well saved by Paul Henderson down to his right. What more can be said of Henderson – a goalkeeper of true quality who never seems to age. In the 26th minute a very accurate free-kick from Sean Rooney beat all and sundry except for Henderson who managed to gather the ball in two attempts. Marconi were pressing but without luck. In the 32nd minute Sydney Olympic came roaring back with an attempt of their own. A delightful cross from the left by Radovan Pavicevic was met by a Max Burgess drive that most definitely would have hit the intended target, except for a neat save by Nenad Vekic to deny him. The game didn’t offer much more in the first stanza of play as that early goal divided the two teams heading into the break. Early in the second half there was a double for Sydney Olympic in the 52nd minute when a beautiful header by Pavicevic on the left brought out a great save by ‘keeper Vekic; as the ball made its way out to Burgess he decided to curl one back towards goal only to just shave the post. Sydney Olympic didn’t have to wait too long though to score again because in the 60th minute Jason Madonis made it two for the visitors. A long cross from the left reached him unmarked in the centre of the field and, from just outside the box, he unleashed a shot that gave ‘keeper Vekic no chance. It was enough to break Marconi’s heart but no without some merit from the visitors though. In the 82nd minute Marconi should really have had one back themselves when the ball bobbled into the box but substitute Braden Cheng hit a weak volley that didn’t end up where it perhaps should have. After the game coach Abbas Saad, a former Sydney Olympic player of the highest quality himself, was delighted with his team’s performance. “I was very pleased with the performance,” he said. “We won every battle on the field, created so many chances and we should have won by about four goals clear today. “It was all down to the mindset and our belief. That’s now our fourth win in a row, including the cup, and it breeds confidence. That’s what is getting the boys over the line at the moment. Meanwhile over in the Marconi dressing room Peter Tsekenis was putting the loss into perspective. “We lost two games leading into tonight and we were a bit down,” he said. “We had a very physical game midweek and we are also down on troops at the moment. “We conceded a goal in the first 30 seconds and things like that happen when you are down, but when you are up those things go for you.  SYDNEY OLYMPIC FC: 1. Paul Henderson, 2. Thomas Whiteside, 4. George Timotheou, 6. Nikola Kuleski, 7. William Angel, 8. Jason Madonis (33. Niko Tsattalios 83’), 9. Radovan Pavicevic (23. Riley Woodcock 69’), 10. Max Burgess (19. Darcy Burgess 87’), 11. Jinya An, 14. Alejandro Sanchez-Lopez, 24. Christopher Gligor.